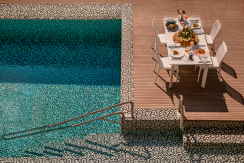 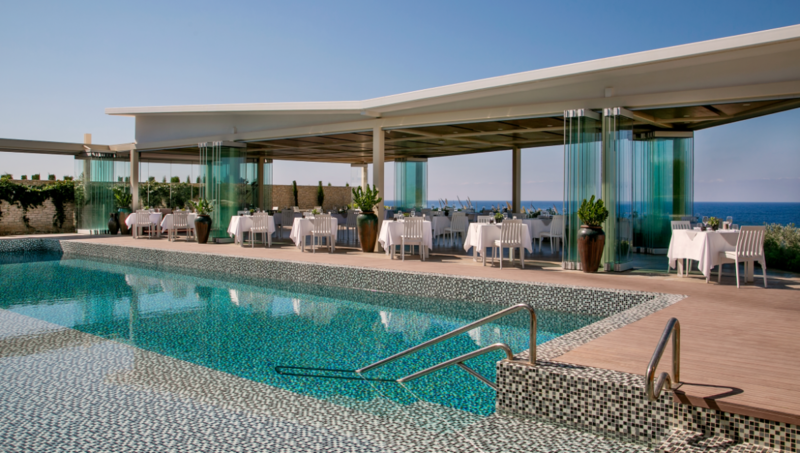 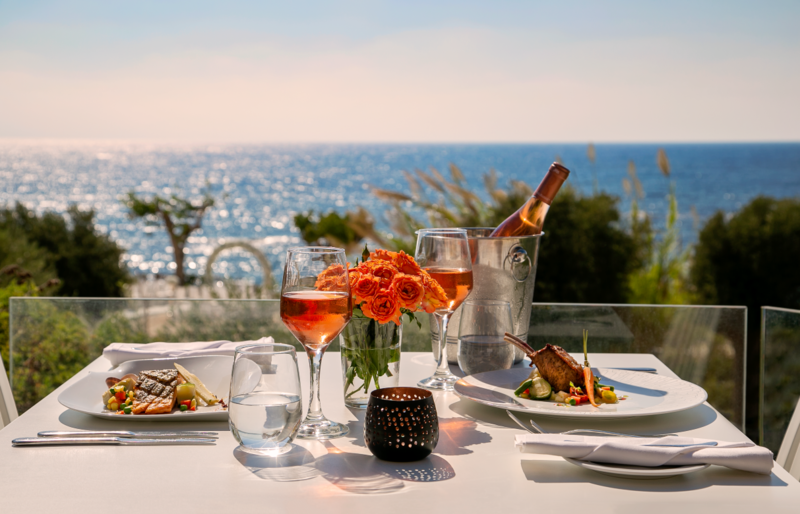 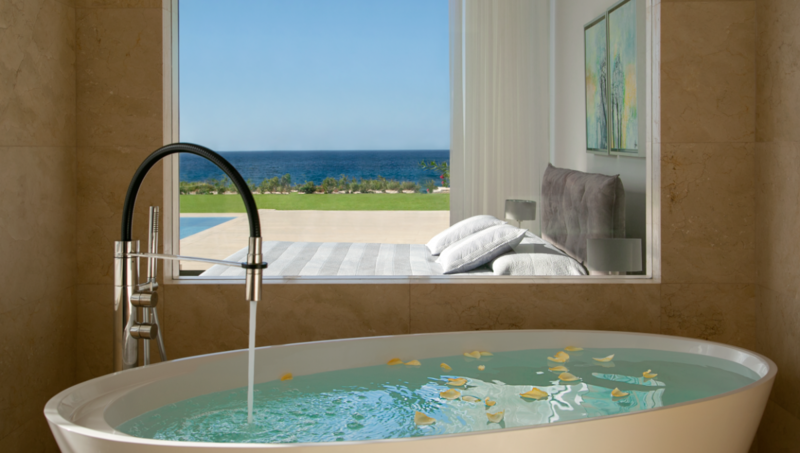 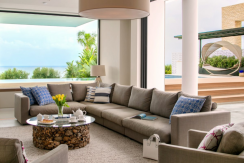 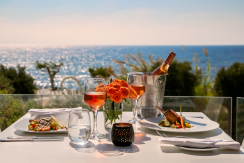 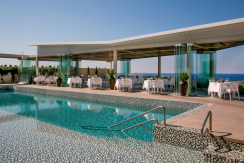 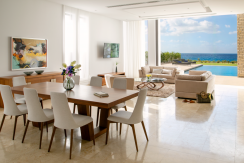 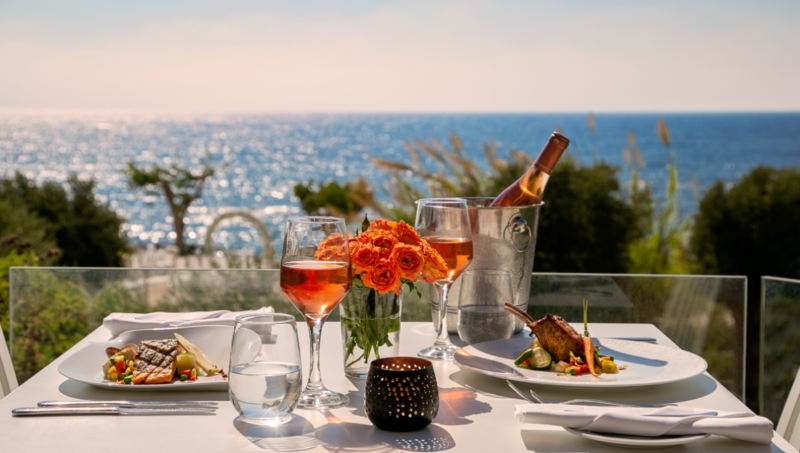 If you are looking for the most luxurious private seafront living in Cyprus then the stunning Cap St. George Beach Club Resort offers an unprecedented level of premium beachfront living yet to be seen in Cyprus. 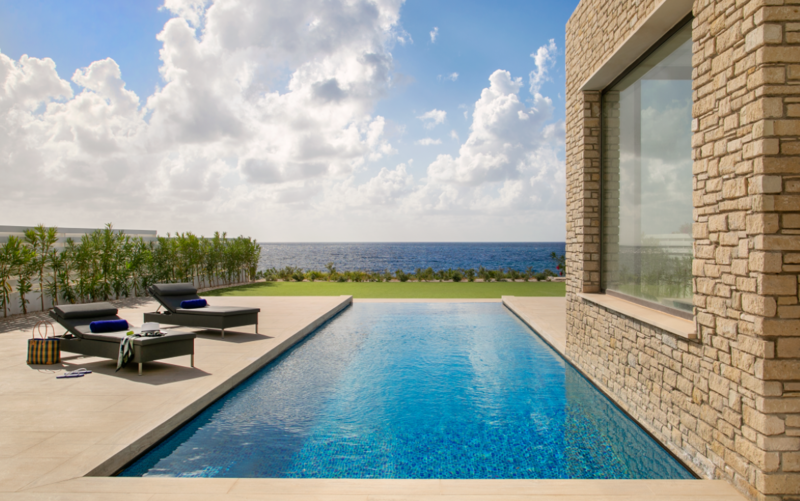 This immaculately presented, shore-front Resort has private access to a pristine beach and commands sweeping, unobstructed views up and down the Mediterranean Coast and beyond to St. George Island. 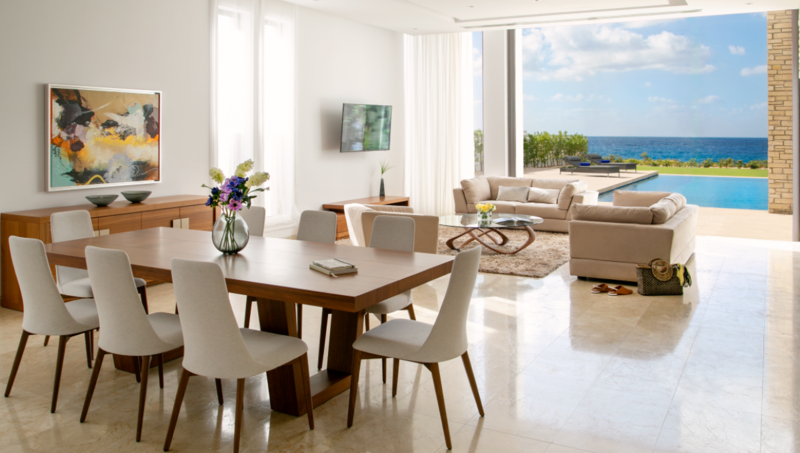 Cap St. George Beach Club Resort seafront villas have magnificent unobstructed views. 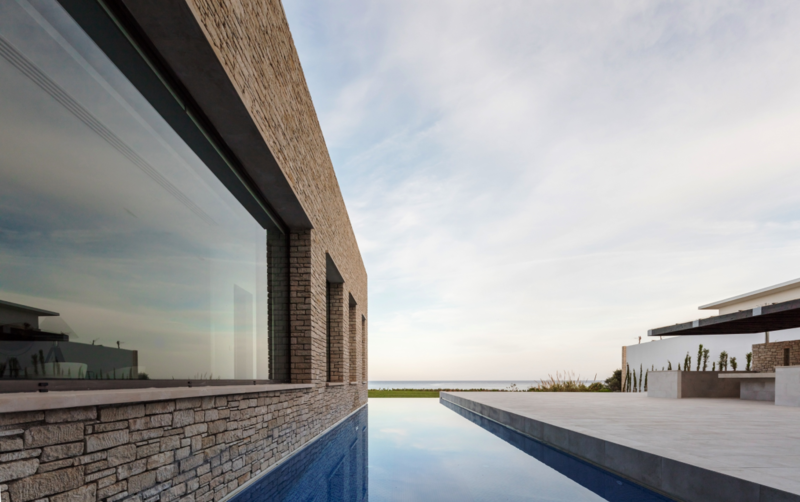 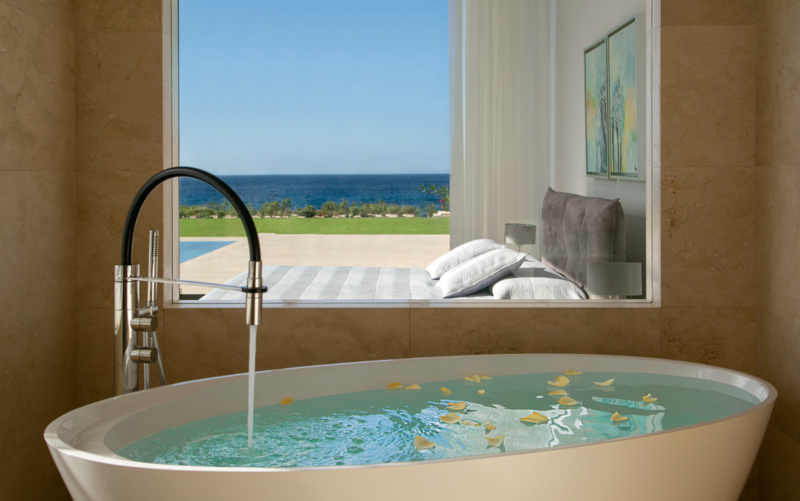 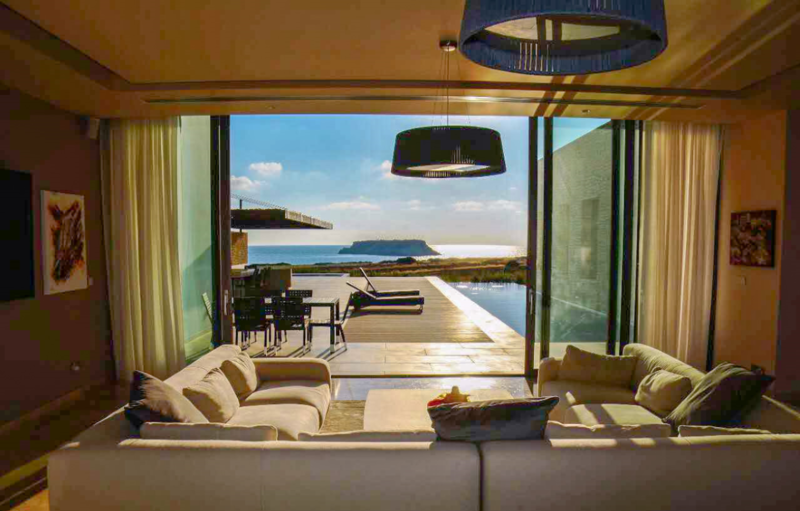 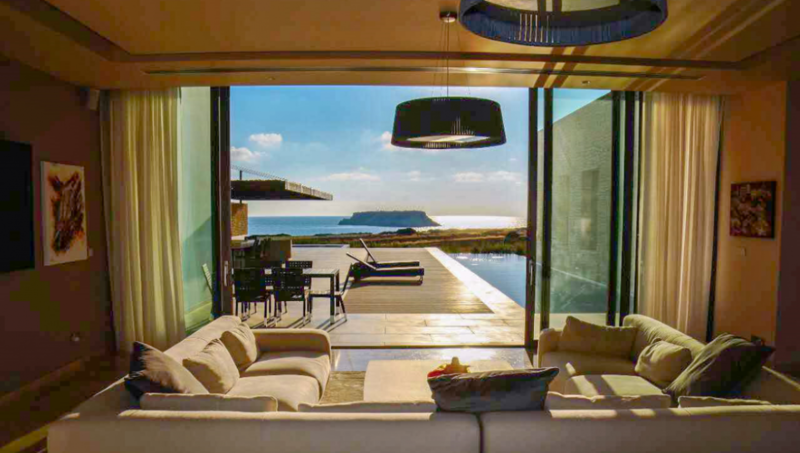 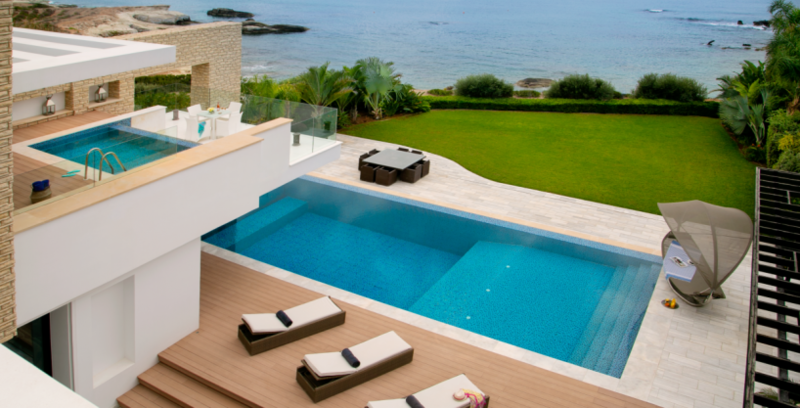 These 3 to 4 bedrooms and 3 to 4 bathrooms luxury villas ranging from 295 sq.m to 930 sq.m are located on a unique private site on the west coast of Cyprus in tranquil surroundings. 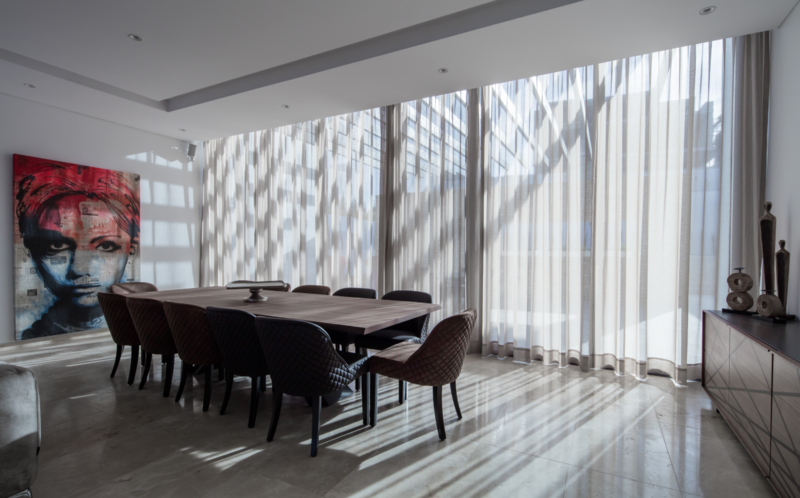 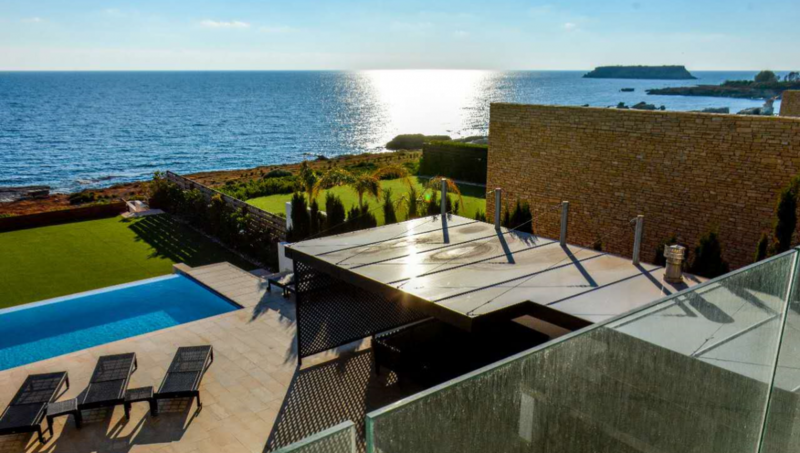 If you are considering residence and citizenship application via investing in property, then we can confidently recommend Cova Resort and Residences. 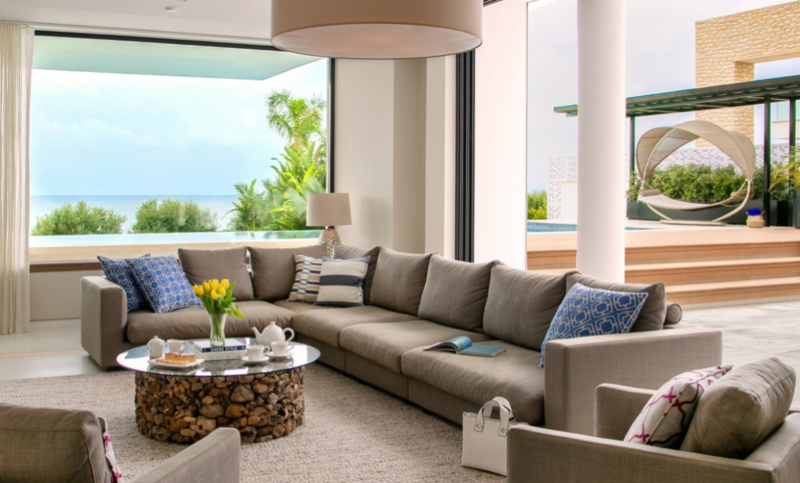 Cap St. George Beach Club Resort was born of a dream to create a place of refuge for high achievers who sought an idyllic, private space for relaxing and entertaining. 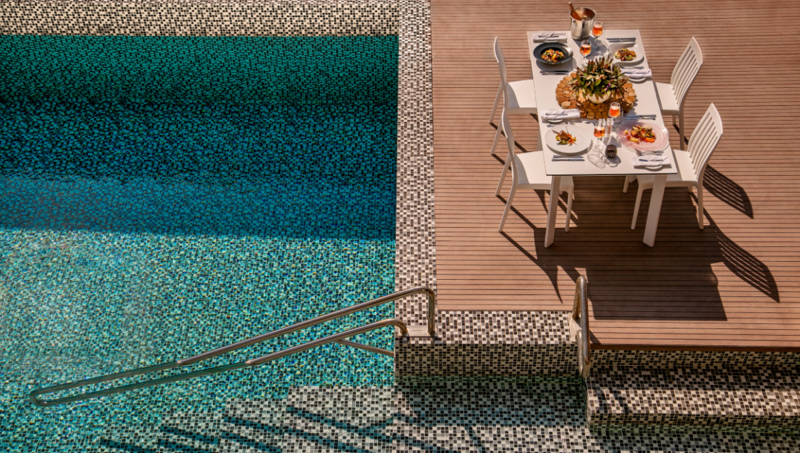 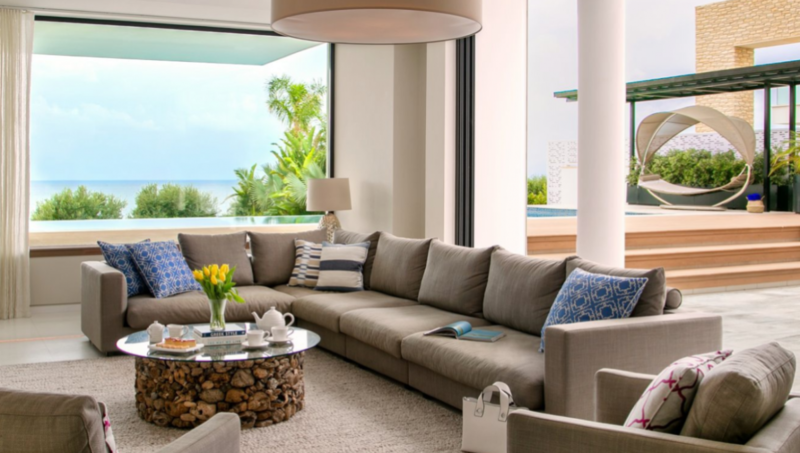 The concept, an enclave of bespoke designer villas within paces of an unspoiled shore and a shimmering blue sea, with first-class concierge services on hand at all times. 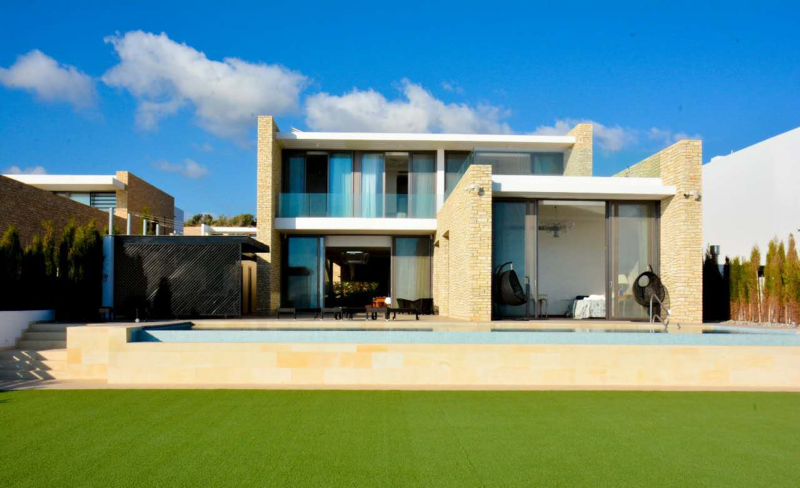 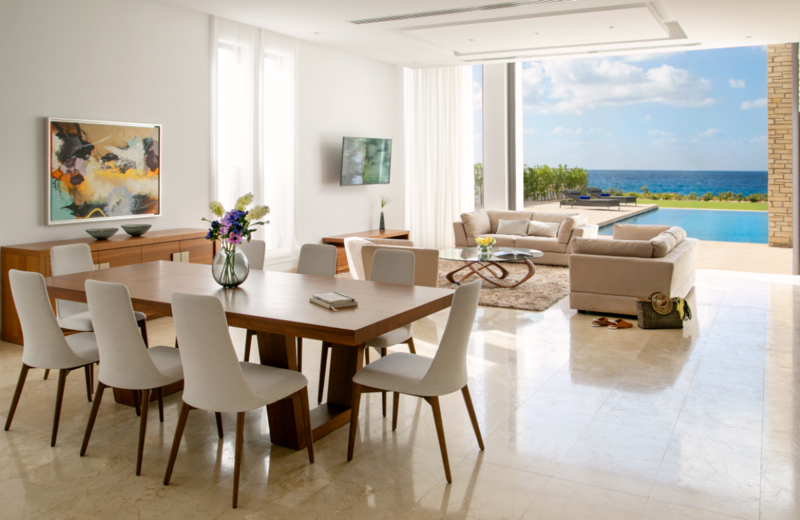 These luxury villas are of a contemporary style and design with timeless elegance. Each villa offers the luxury of its own garden sloping towards the sea affords every house a spectacular view and enjoys a private pool and parking. 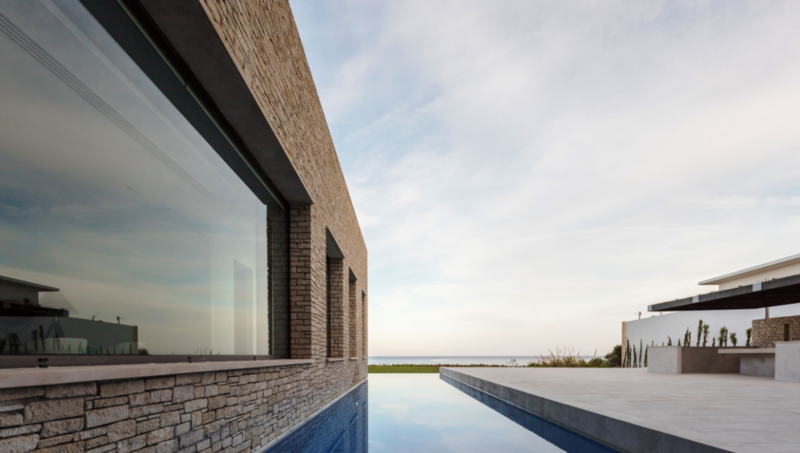 The shapes and materials such as natural stone are locally inspired but are interpreted to form a creative and harmonious whole. Cap St. George Beach Club Resort operates just like a private members’ club, where residents and their guests enjoy exclusive facilities including a seashore clubhouse, bar and restaurant, swimming pool, multi-purpose halls, conference room, spa with treatment rooms or private service in your own villa. 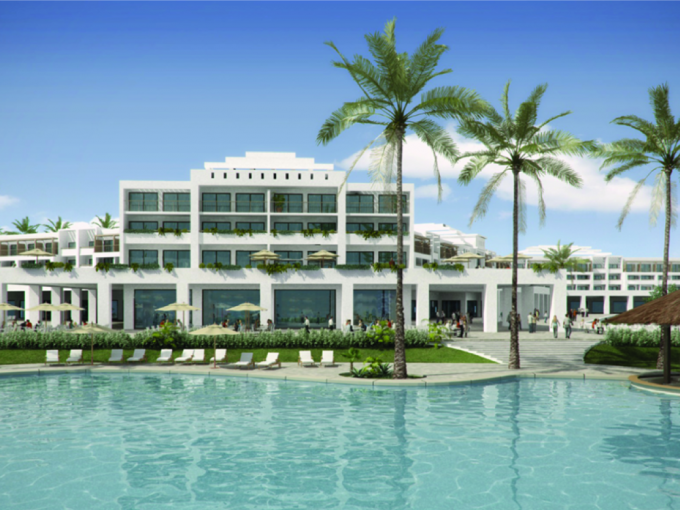 Cap St. George Beach Club Resort is a 5 star beach fronted development in St. George Bay west of Coral Bay. 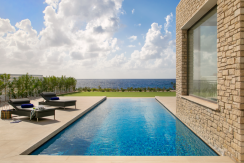 25 minute drive from Paphos International airport. 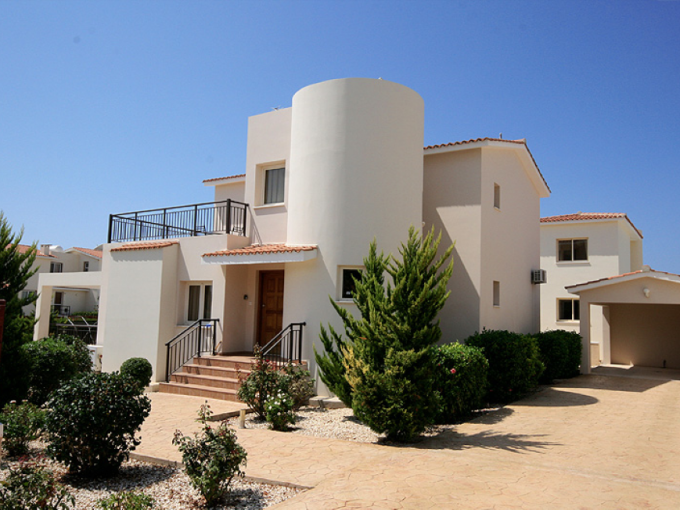 1 hour 45 minute drive from Larnaca international airport. 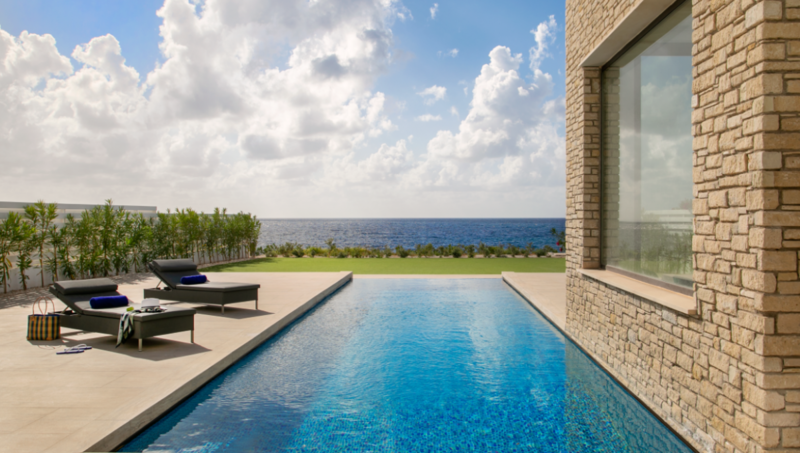 15 minute drive to Paphos harbour. 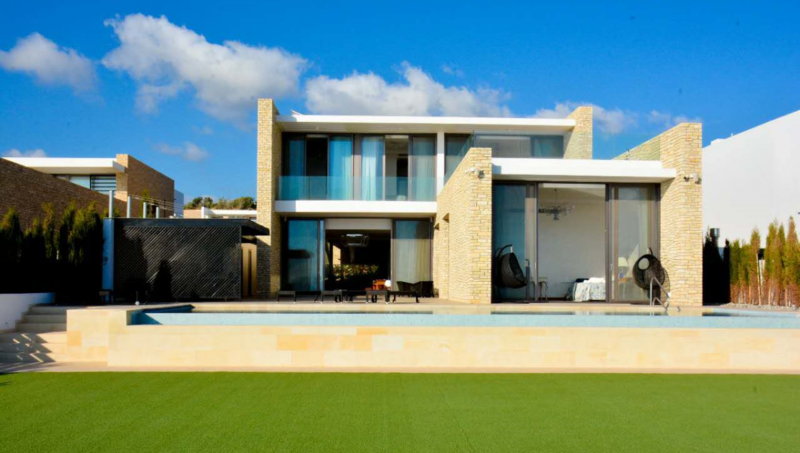 5 minute drive to The Private International British School. 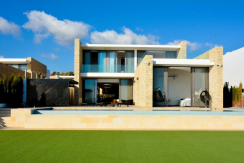 5 minute drive to Coral Bay beach. 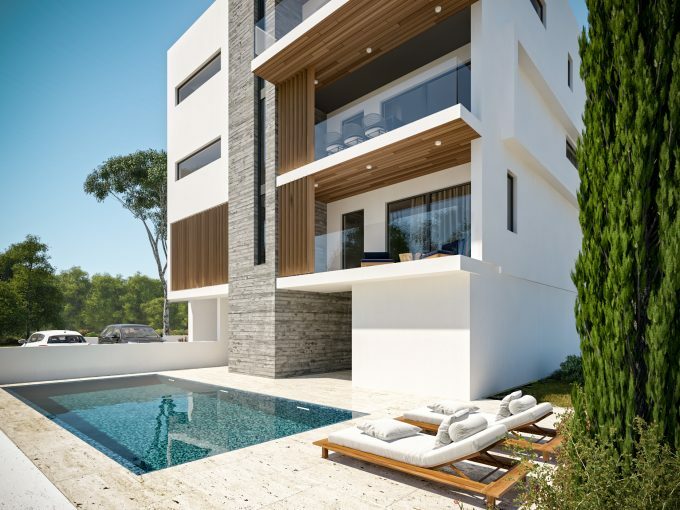 3 minute drive to the private international British school. 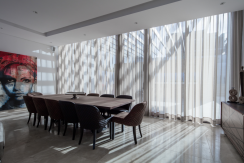 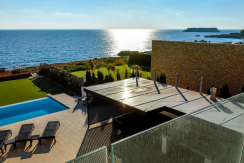 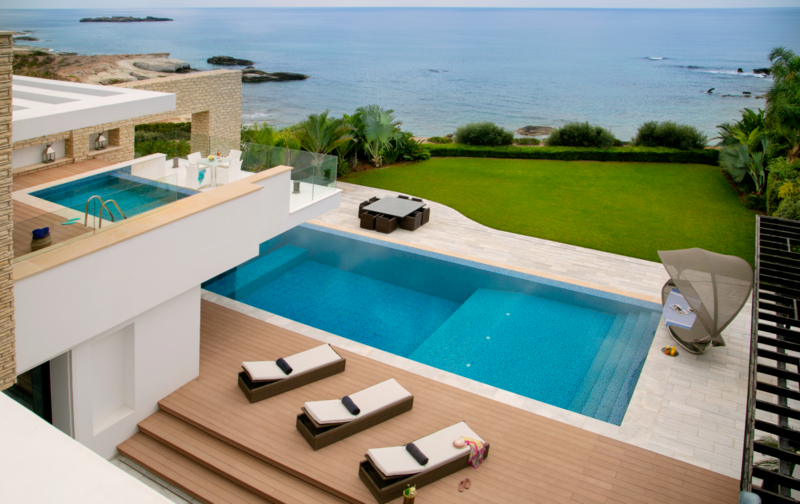 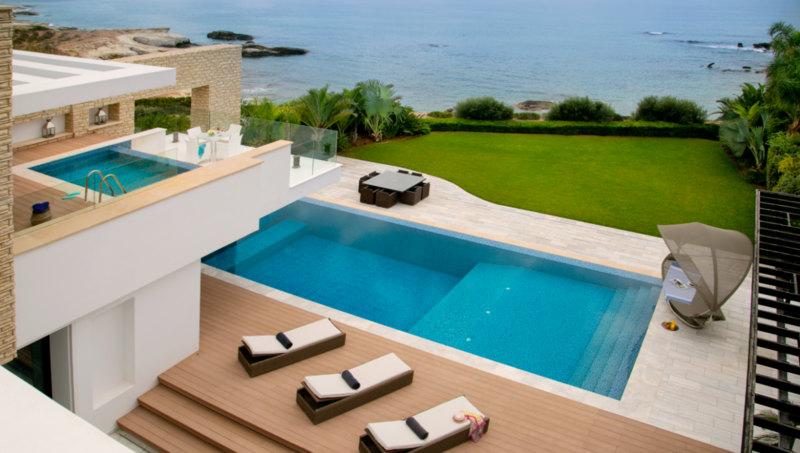 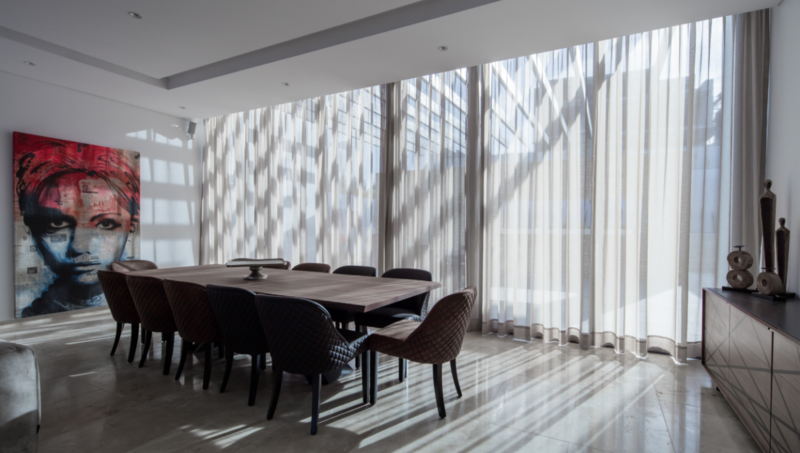 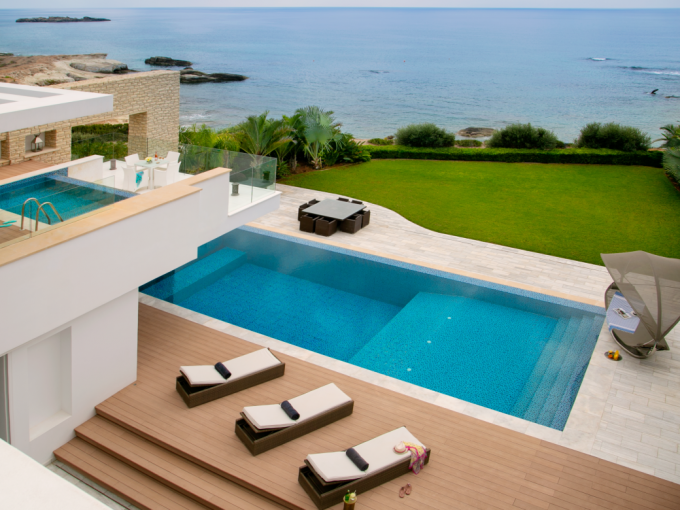 If you require further information on this outstanding property, whether for Residence & Citizenship planning, investment in general or for the best lifestyle property in Cyprus, then please do not hesitate to contact us when we can assist you through the whole process relating to your desired property purchase.